I was recently sent an Osprey Aether 70 to try out and boy do I love this bag. If you’re in the market for something to take along on a multiday trip, she just might be the gal for you. Much more to come on this, but for now, go to Osprey’s website and check it out. During five summers from 1957 to 1961, the five-member Barstow family of Wethersfield, Connecticut, set out to visit all 48 of the then United States of America on a series of month-long camping trips. In 2000, Father Barstow added narration to the footage and put it all on VHS for our viewing bliss. Good lord, what a video and what a family. I haven’t finished the whole thing (it’s long) but the intro alone is worth your time. I was listening to The Rising Storm podcast this morning while eating my over-easy eggs topped with Fritos and Caracas sauce and on came Townes’ “I’ll Be Here In The Morning.” Haven’t listened to a second of him in a long while and it sure did put me in a good mood. The Siamese Ponds Wilderness consists of 112,524 acres in the southeast section of New York’s Adirondacks. It’s less frequented than the High Peaks area to the north, but it’s just as wild with several lean-tos, including the East Branch Sacandaga lean-to (pictured above). 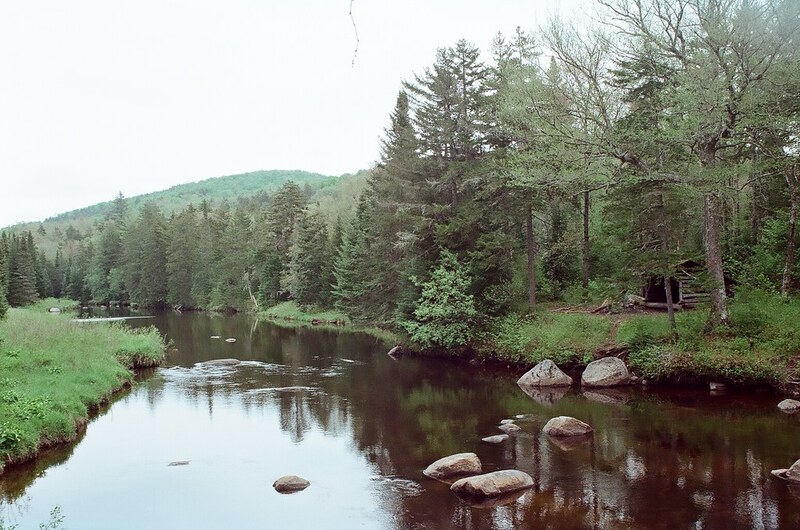 The hike to the lean-to is an easy four miles that mostly runs along the East Branch of the Sacandaga River, a “wild” river under the New York State Wild, Scenic, and Recreational River System Act. Mother Nature’s quite a lady. Another two and a half miles will get you to the first of the two Siamese Ponds, which has a few designated campsites around it’s perimeter. Cold Splinters was up there last weekend and the trail is muddy and full of bugs just waiting for you to stop for water or lunch, but the lean-to is in a beautiful location for an easy overnight. 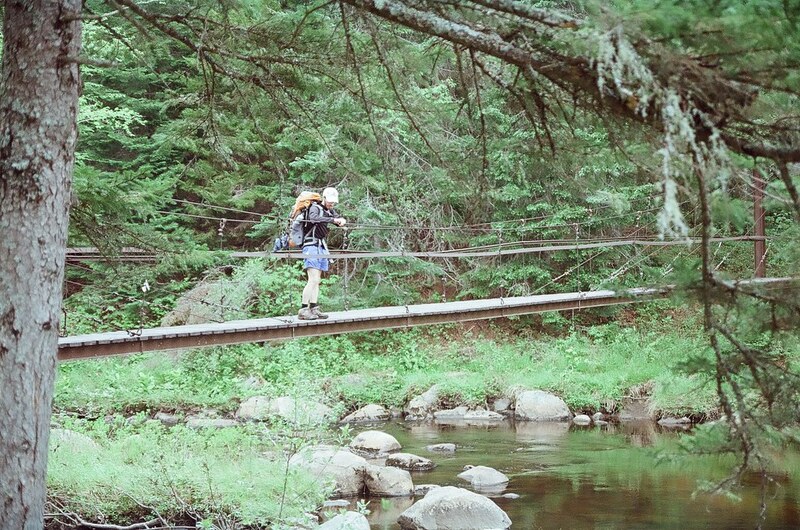 The picture above was taken on the suspension bridge over the river that connects the trail up to the Siamese Ponds. The trailhead is at the Eleventh Mountain parking lot on Route 8 between Speculator and Bakers Mill. Can’t miss it. Thanks to a 279-147 vote Wednesday in the House of Representatives, visitors to the nation’s parks and wildlife refuges will be able to carry weapons there if they abide by state weapons laws. I bought this old canvas backpack on the side of a road in Chestertown, NY this weekend. The label says “Hirsch Weis” but I can’t seem to find too much information about the company. Anybody want to help? Few more pictures after the jump..
More pictures after the jump.. In 2000, Congress allocated $1.4 billion in federal funds as a down payment on the Everglades restoration project. Under the Bush administration, funding was not forthcoming. In fact, Bush vetoed a $21 billion federal water preservation bill which included almost $2 billion for Everglades restoration. Furthermore, Bush’s U.S. Department of the Interior pressured the United Nations’ World Heritage Committee to remove the Everglades from the endangered list. Fortunately for the “River of Grass”, the Obama administration has not forgotten the Everglades. $96 million of the $4.6 billion federal stimulus package earmarked for the U.S. Army Corps of Engineers civil works projects will go towards Everglades restoration. Additional funding of $183 million will come from the Congressional spending bill that passed last month. Ken Burns’ documentary, The National Parks: America’s Best Idea, will not air until late September, but most PBS stations will be airing a 30 minute preview on May 24th. In the meantime, the website for the six episode documentary is up and running. Lots of great video, images, interviews, and all that jazz. We’re real real excited for this one.